Central South is a large residential area just west of the Central / Downtown business district. It's easily accessed via the Red Hill and Queenstown Metro Stations on the East West Line or via several stations on the southern side of the Circle Line. 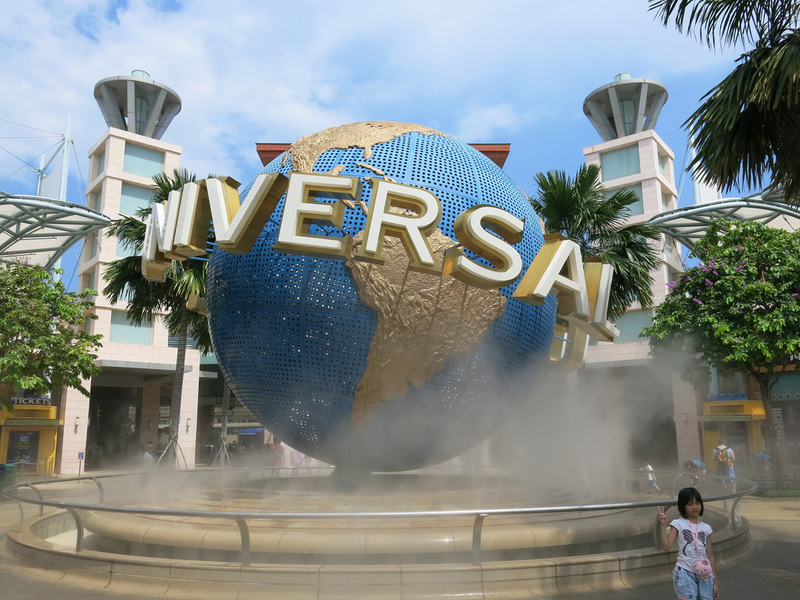 Singapore's "pleasure island" features several attractions in a resort / hotel integrated area. 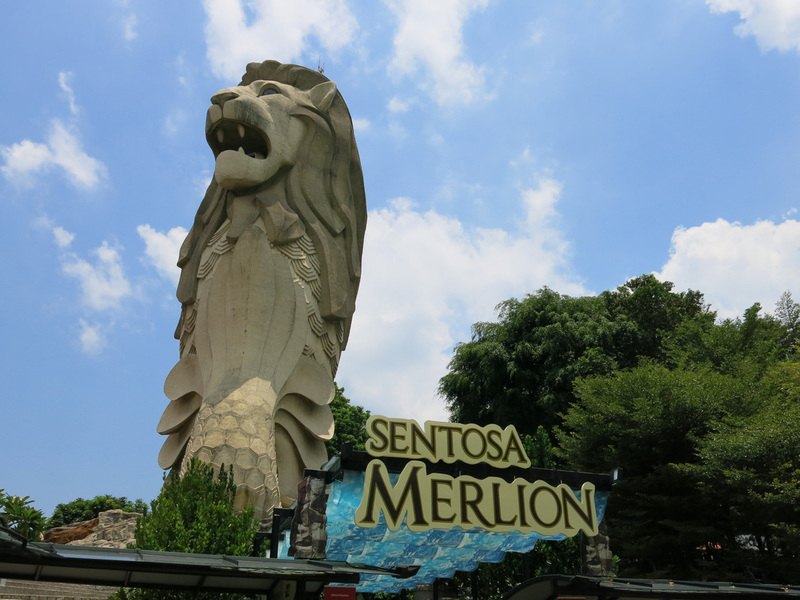 As soon as exiting the Northeast MTR line at Harbourfront the entire Sentosa experience feels manufactured - from passing through a mall to reach the island monorail, to standing in Merlion Plaza and gazing up at the plaza's giant namesake statue, to riding trams to the beach. That's because the island was "manufactured" as part of a plan to creating a place for Singaporeans to unwind on the weekend and draw international visitors. 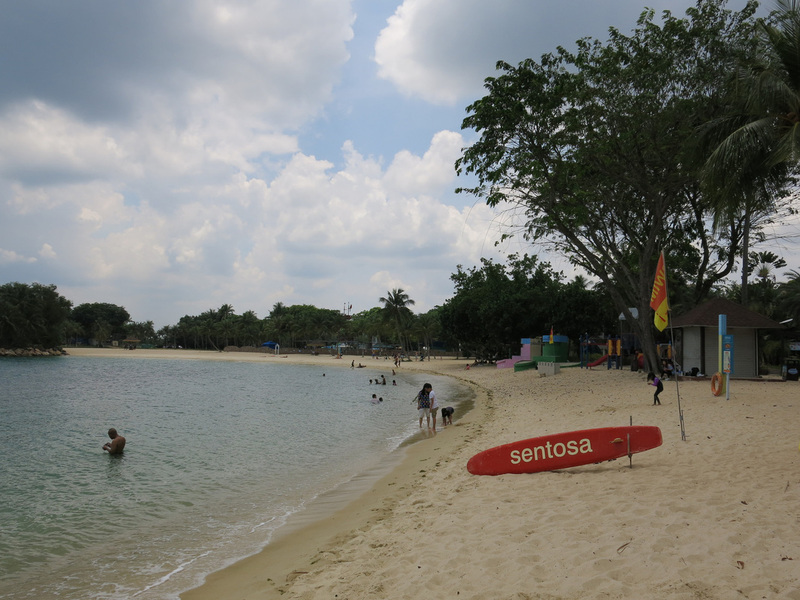 As a day trip from Singapore Sentosa delivers. Upon reaching the quieter waterfront sections of Palawan and Tanjong beaches the earlier commercialization of Universal Studios, other theme parks, and the Merlion start to dissipate. On a weekend the beaches are quiet and the calm water provides a cool off after a walk in the sun. All beaches have shower, restroom, and locker facilities. After paying the $4 monorail fee all transportation on the island is free and convenient. There's lots of dining options although it's mostly Western chain fare and pricy. If it's an afternoon visit Food Republic in VivoCity offers a mall food court hawker center dining option before or after enjoying Sentosa. 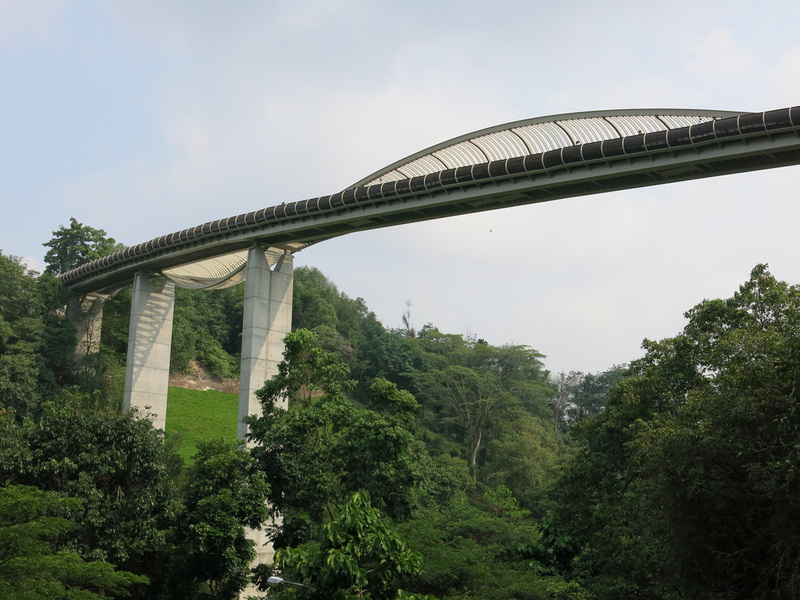 The Southern Ridges comprises two park sections - Mount Faber in the east and Telok Blangah Hill Park in the west - connected by the Henderson Wave, a dramatic pedestrian walkway spanning across peaks in the two parks, thirty-six meters above Henderson Road below. The Wave Walkway is easily accessible via catching the 145 Bus from Redhill Station then walking up a flight off stairs near the bus stop. Once you've climbed the stairs and are on the ridge, the rest of the walk is downhill - literally and figuratively. 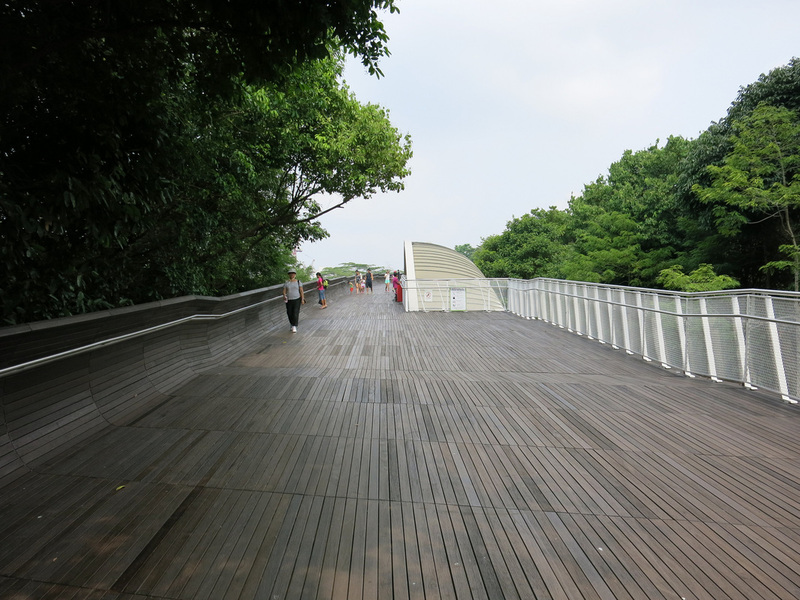 The boardwalk of the Henderson Waves provides excellent views of Singapore and outer islands looking south, however, the real attraction and sight is the walkway itself with the captivating ridges that run along one side. Like a wave the ridges rise and fall along the walkway providing a different viewing angle and photo opportunity at every step. After exiting the Henderson Waves the trail somewhat disappears and turns into a street. 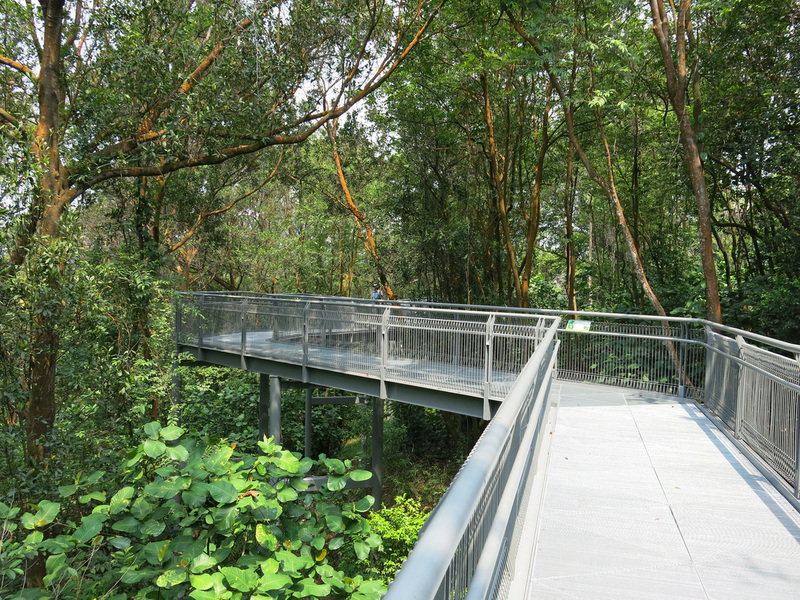 A walk along the side walk eventually leads to the Forest Walk and Canopy Walk a series of elevated trails that cut through the Southern Ridges' treeline. 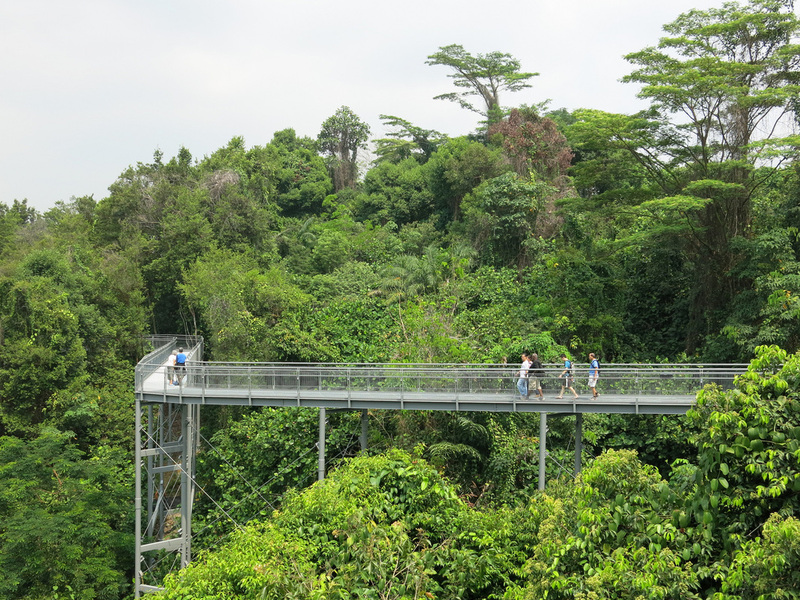 The trail zigs and zags through the treeline providing an upclose look at Singapore's tallest foliage. 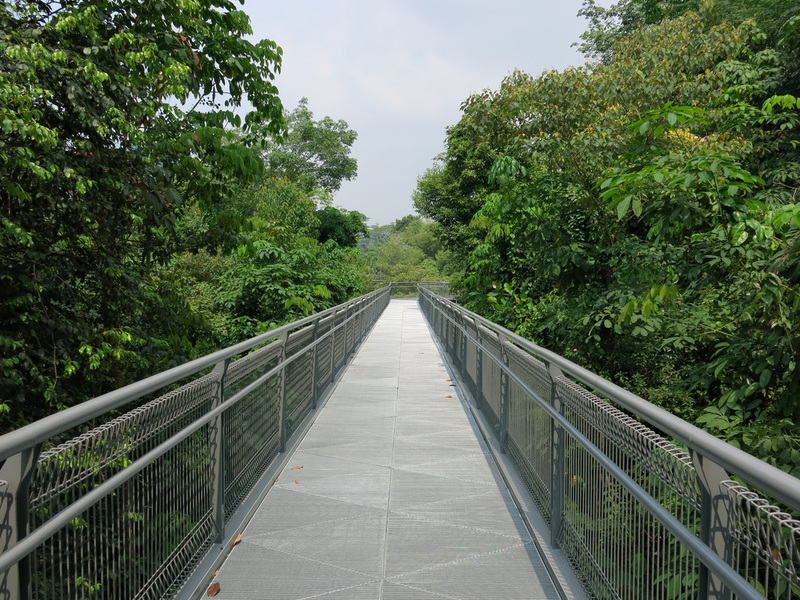 The trail eventually leads to Alexandra Road where you can cross the Alexandra arch to the HortPark and Kent Ridge Park or head north to dining options in Alexandra Village. 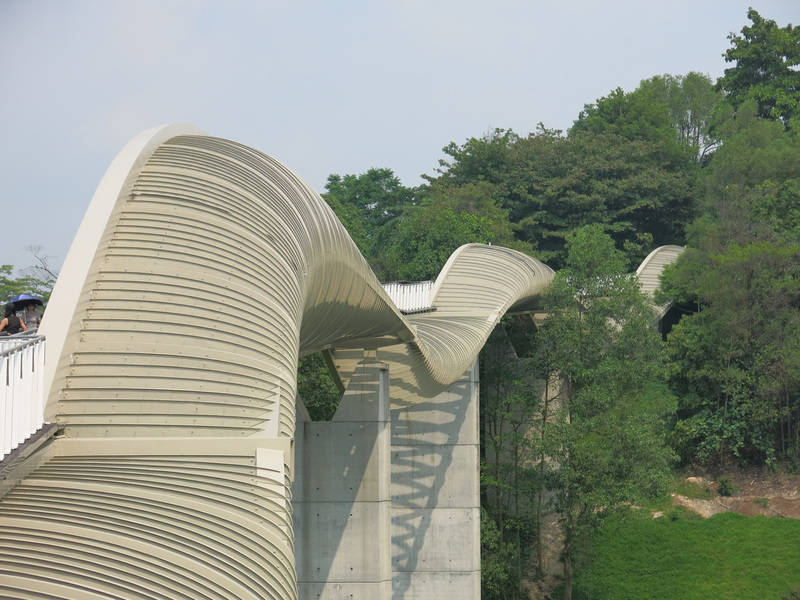 The walk from the start of the Henderson Waves to Alexandra Arch is about 2.3K. You can catch a bus on Alexandra Road to Queenstown Metro Station or its about 1.5K walk with a few places to stop and eat along the way. 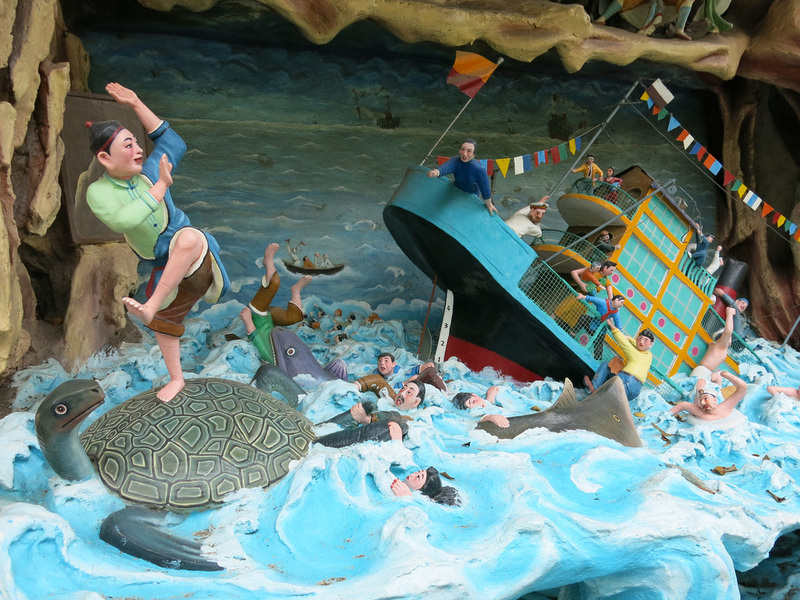 An "amusement park" with scenes and dioramas depicting Chinese folk religion stores, the Haw Par Villa showcases a different religious side than temples, stupas, and monasteries. The villa was the former residence of Tiger Balm founder. A mansion existed on the site, however, after extensive damage during WWII it was torn down. 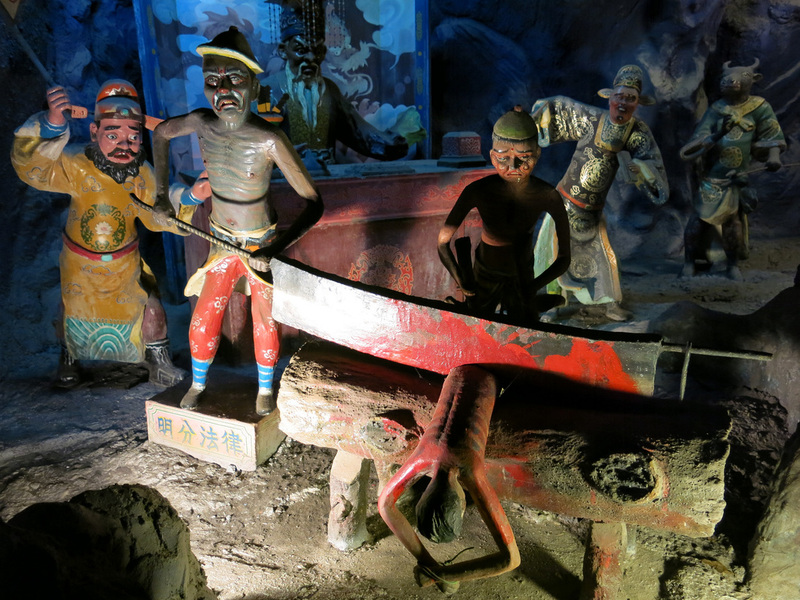 Fortunately a theme park showing religious scenes from famous passages from Chinese Folk Religion remains. The park is organized by virtues, peaceful gods, and other religious themes. The most striking dioramas are in the Ten Gates of Hell Exhibit. Each of the ten gates shows in graphic and glorious details the punishments in the Underworld that await those who have committed sins in the Earthly world. The park is open daily from 9-6 with free admission. 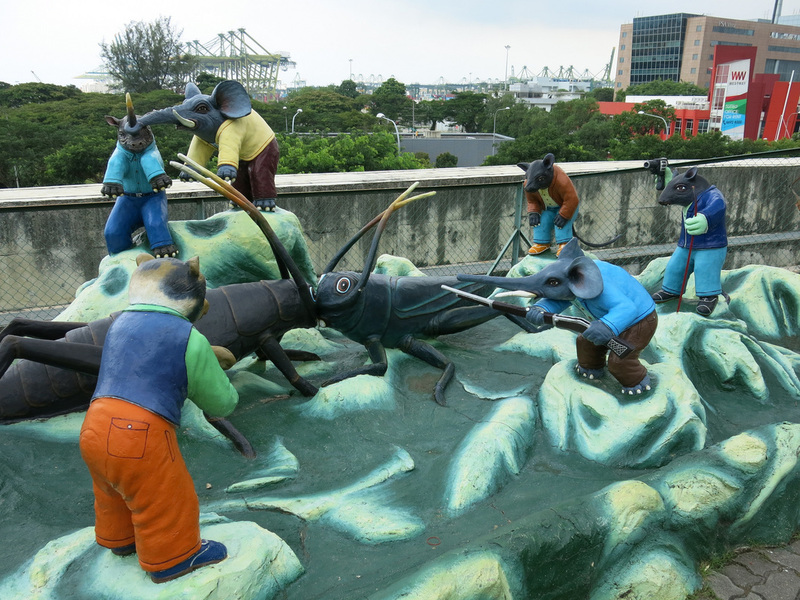 The entrance is less than a minute from the Haw Par Villa MTR Station.